Frog Allard changes into a human. In his human life, as succesful lawyer Allard, he starts showing frog-like qualities. When he starts to alienate from society, he decides to go back to the swamp to find the frog inside himself. 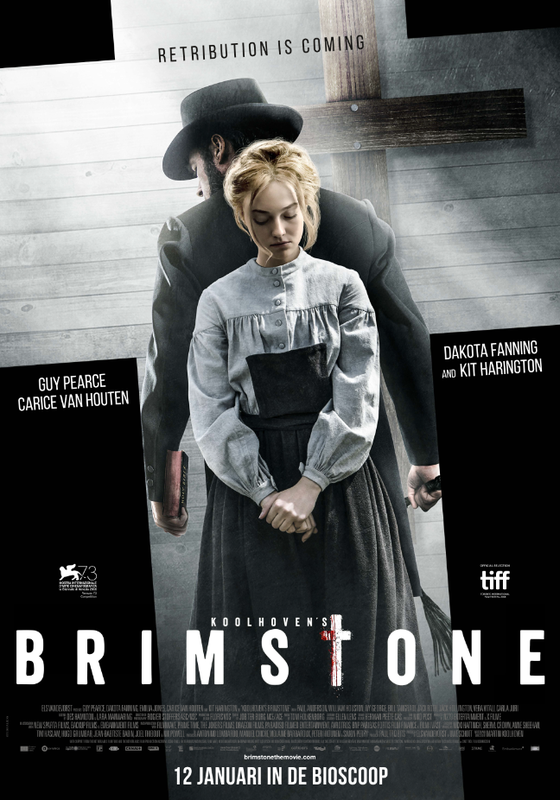 Brimstone is an epic thriller set in the old west. A triumphant tale of powerful womanhood and resistance against a violent past that refuses to fade. Francoфonia is the story of a moment in history, the story of two remarkable men, enemies then collaborators, whose collaboration would be the driving force behind the preservation of museum treasures and a few of the many artworks despoiled from the Jews. Dmitrij’s monotonous days drag on, between working in the courthouse and his solitary rock-climbing excursions. Dmitrij gradually begins to integrate his newly met friend Andrej in his fantasy world. Then Andrej vanishes. 40-year-old farmer Helmer lives with his aged, bedridden father in the Dutch countryside. His working days are marked by the visits of milk collector Johan, a man of his own age for whom Helmer holds a secret fascination. Seven-year-old Kid is happy and feels safe and protected with his Mom, even though it is not easy for her being a single mother. When Mom dies, Kid has to face his fears and insecurities. Little by little he gets freed from his surroundings and cherishes the hope to find Mom back.